Overall best performer in Canalys matrix, ESET confirms impressive commitment to resellers. The Canalys matrix is a graphical representation assessing vendor performance. The x-axis is compiled by channel partners and the y-axis is an analyst assessment. Canalys rates ESET as a champion for ongoing improvements in channel processes, ease of doing business and making sustainable investments in the future of their channel models. ESET's position in the right hand upper corner illustrates both our enormous progress and also that we are now a role model for champions! “I’m happy this award confirms our partners enjoy working with us. Reliable top of grade products combined with ease of doing business are main pillars of our channel approach, allowing us to grow together with our partners.” Miroslav Mikus, ESET EMEA Sales and Marketing Director. 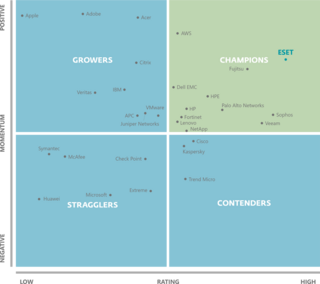 Get your complimentary copy of the Canalys Leadership Matrix for a rating on global technology vendors' relationships with partners and more insight on ESET's excellent performance. 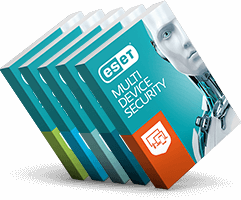 Find out more about what ESET has to offer and how you could be supplying these award-winning products to your customers. We also have a best in class partner program with UK based support & training.